The delightful Summer Hill Folk Festival takes place in the inner-Sydney suburb of Summer Hill featuring a massive lineup including Chaika, eüsh, Giffen, Gary & Jimmy Daley, Montgomery Church, Nic Cassey, Queen Porter Stomp, The Restless Legs, Roaring Forties, Summer Hill Community Choir, Tangalo Duo, Whoa Mule and more. Remember that time Laura Marling used the triple j Like A Version segment to sing her mate Johnny Flynn’s song “The Wrote and The Writ”? Awesome. Having just released her new EP A Painting of the Universe the Lucy Wise Trio are hitting the festival circuit this Autumn for the record’s launch, hitting the Port Fairy, National and Fairbridge folk festivals. 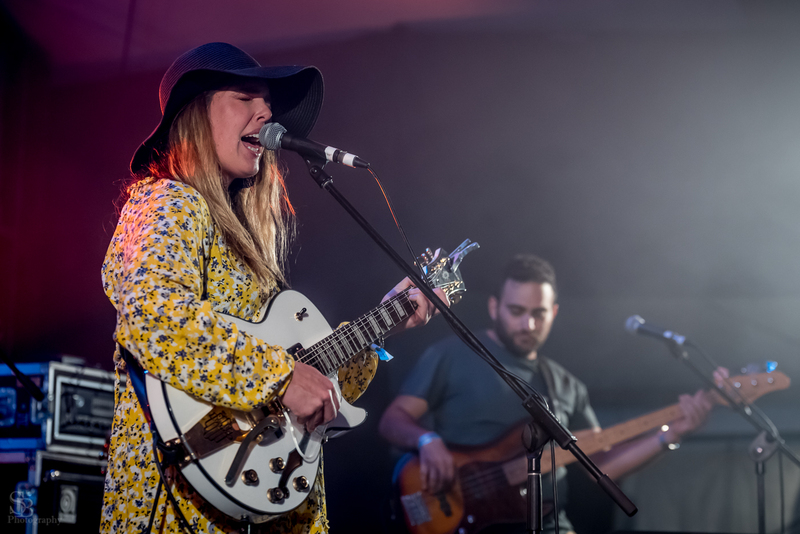 I sat down with Lucy Wise to chat about the EP along with her experiences at The National Folk Festival. Gareth Hugh Evans: Let’s start with the new EP, A Painting of the Universe which has a pretty interesting story behind it right? 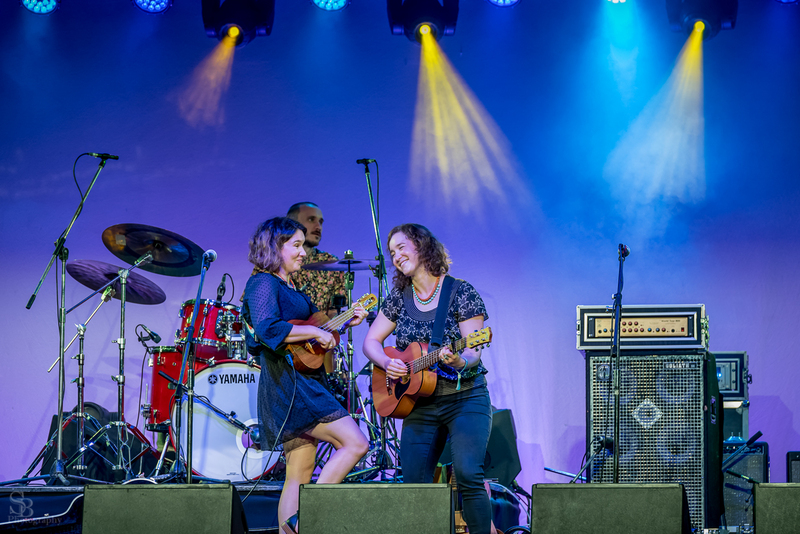 Lucy Wise: It all started early in 2014 when the Lucy Wise Trio were invited to write some music for the 30th birthday of a national schools poetry competition, the Dorothea Mackellar Poetry Awards. Lots and lots of schools participate in it and its for kids from age 6 to 18. So what we did was we read through 100 of the past finalists poems, so that got us through the past 10 years of the competition, and then we chose five poems to write songs about. We performed those songs at the awards ceremony last year and because we were so excited by the material and the creative realms it had opened up for us we wanted to record them on a CD of their own, so that’s what this new EP is. GHE: It’s really cool. It feels a little different to the stuff you’ve done before. There’s a really nice, comforting feeling about the EP if that makes sense? LW: I suppose the excitement and freedom of that creative process might come across in the songs? I think it’s because that directly transferred across from the kids’ poetry I think. The poems that we ended up choosing had the most honesty and freedom of expression. When I was writing the songs I responded to those poems and really enjoyed seeing where those poems could lead me. It was a really different process for sure. GHE: How much of the original poems actually made it into the songs? And how much is your interpretation and inspiration? LW: It depended on the poem. There were a couple of poems where the images and the way they were portrayed were just really clear and beautiful. I ended up using maybe half their words and half mine for one of the songs. And then for a lot of them it ended up being maybe four or five phrases out of the song would have come directly from the poem. It was a totally open and free process, I just left it open to wherever I felt the song needed to go. If it needed those lines from the poem then I popped them in. GHE: Did you write the songs and then bring them to Chris Stone (violin) and Holly Downes (bass)? LW: Yeah. We made up a process for selecting the poems, so we all agreed on our favourite five together. And then we drew a narrative shape on a piece of paper for each one and that kind of represented the shape of the song that might result from that kind of story. Then they left it up to me to see what would happen, going away and writing a song about each poem. When I came back to Chris and Holly with the songs we arranged them. We worked out what the instruments could do to best serve each story. GHE: It feels like these songs are very arranged specifically with Chris and Holly in mind. With them being such amazing musicians you definitely get a sense of landscape from their playing. LW: It feels really different. All the playing that we’ve done together over the past year and a half as a trio has led us to approach this new project with a whole lot more experience of arranging together and of telling stories together. That’s cool that that comes across – we feel like we’ve developed lots but we like to know that other people can sense that too [laughs]. GHE: And you’re launching the EP now? LW: Yeah, we just launched the EP at Port Fairy Folk Festival in Victoria and we did a Melbourne launch on Thursday night. We’ll be taking it to two more festivals – The National and Fairbridge in WA. 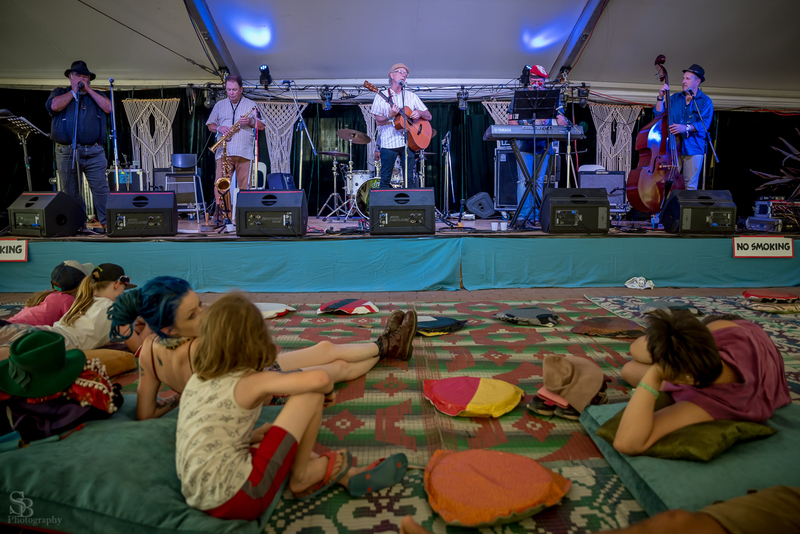 GHE: I feel like The National Folk Festival is a bit of a “home” festival for you. I’ve been going for the last 15 years and have watched you grow on stage there through the Wise Family Band, to your work with The B’Gollies to your current trio project. Does it feel like a homecoming for you? LW: Yeah it does. The National’s always been a special festival for me. It was really one of the first festivals that my family played performed on a big stage. It’s where I made a lot of life long musician friends who I still work with and still love seeing and catching up with at the festival. It’s great to be able to launch the EP there because it certainly does feel like a bit of a folky homecoming. 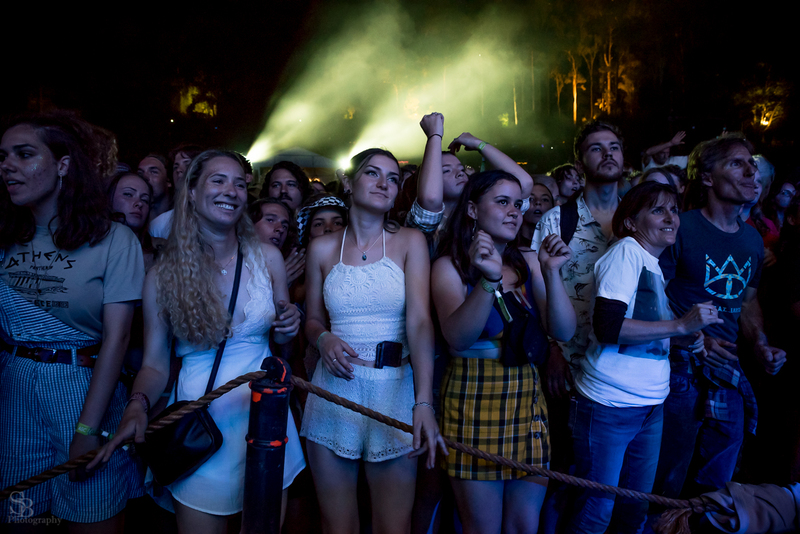 GHE: I always recommend The National to my muso friends because it is such a collaborative festival. You meet so many amazing people and even if you’re not on the lineup you can still bring your instrument and get up and play in so many ways. LW: Absolutely. I suppose the session bar has always provided that great opportunity – it doesn’t matter who you are you can just mix with everybody and you might just accidentally meet one of your folk idols and get to have a jam with them. It’s just that kind of place. GHE: Finally, what’s the next plan after this tour? LW: We’re about to have a little bit of a break from the trio and I’m going to be doing a little more solo stuff during the year. Chris and Holly are about to head off on a lot of touring with The String Contingent again – they’ll be doing Australia and the UK this year. And then it’s possible there’ll be a regional tour of the EP early next year. Nestled on the NSW South Coast the Cobargo Folk Festival has built itself a reputation as one of the best small festivals in the country. 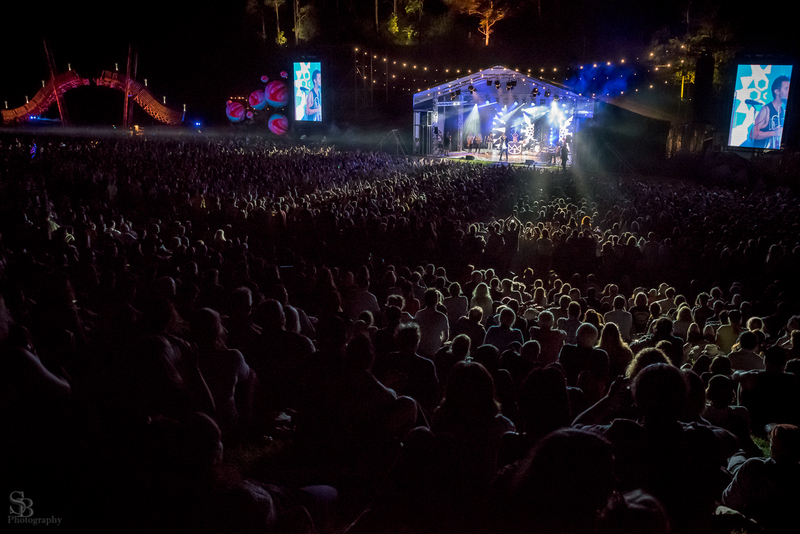 This year will feature the likes of Archie Roach, Ken Nicol, Daniel Champagne, Ann Vriend, Folklore, Heartstring Quartet, The Bon Scotts and many more. I love it when indie-folk bands show their “folk cred” by releasing versions of traditional songs. Many Fleet Foxes fans don’t even realise that “The False Knight on the Road” is a traditional (from the Child Ballads) as it fits so well with their original material. Such a great version of this song – very reminiscent of the Tim Hart and Maddy Prior version. Celebrated Melbourne based folk band the Lucy Wise Trio have announced plans to release a very special live EP. 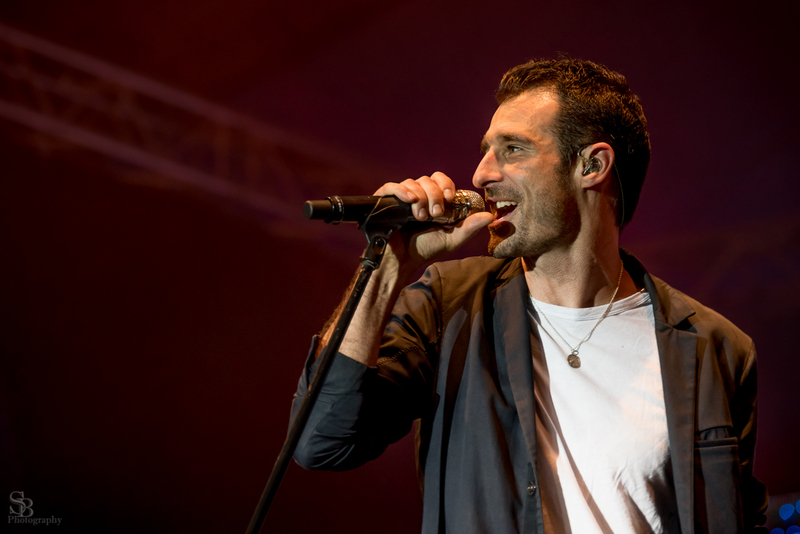 Titled A Painting of the Universe, the EP comprises of five tracks each telling a different story about life in Australia and all inspired by the winning poems of The Dorothea Mackellar Poetry Awards. I’ve seen the Lucy Wise Trio perform a couple of these tracks live and they’re stunning. The Melbourne Folk Club is one of the success stories of 2014 – bringing amazing folk music, both Australian and international, to a regular night right in the heart of Melbourne. The night takes place at Bella Union in Melbourne’s inner-North, mostly on Wednesdays but sometimes throughout the week to accommodate touring artists. The Melbourne Folk Club this week announced its summer season and the lineup is looking as strong as ever. 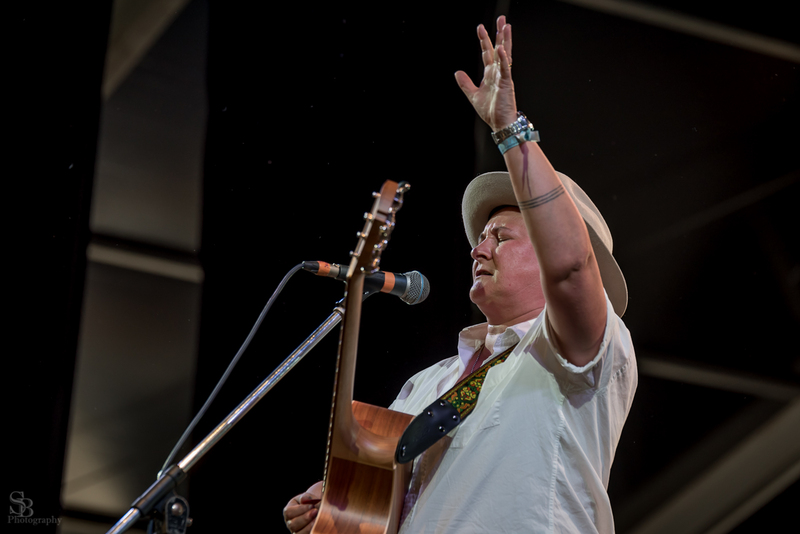 The National Folk Festival today announced their first official round of artists for 2015. The lineup is pretty impressive with the likes of Canadian folk singer David Francey, Anglo-Irish trad supergroup Heartstring Quartet, legendary UK duo Chris While & Julie Matthews (above), afro-celt fusion band of Baka Beyond, Mongolian traditionalists Equus, Brisbane klezmer ensemble Greshka, flamenco dance and music ensemble Bandaluzia, Australian folk royalty The Flying Emus, Timber and Steel favourites All Our Exes Live in Texas, the lovely Lucy Wise Trio and celebrated duo Alanna & Alicia. The festival will also play host to the exciting new theatre show Dead Men Talking based on the life and times of Banjo Patterson and Henry Lawson staring Max Cullen alongside Australian folk legend Warren Fahey. 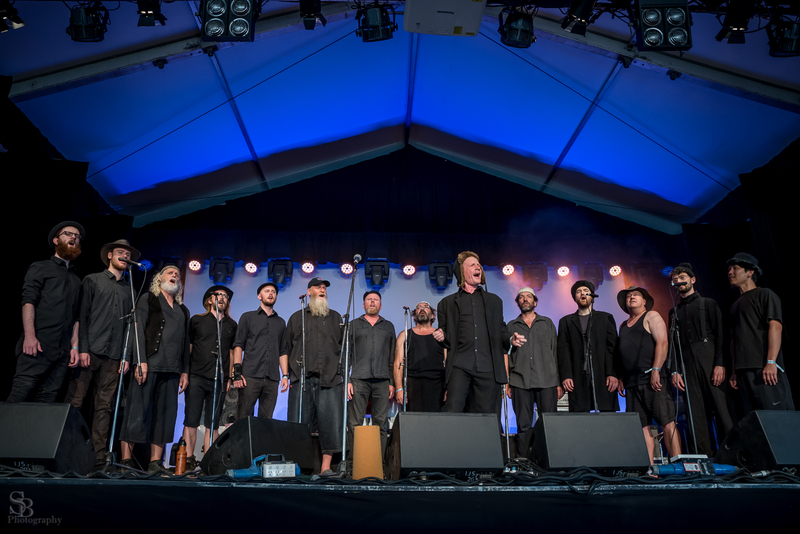 All of these artists are joined by the likes of Alasdair Fraser and Natalie Haas, Mark Moldre, Gordie MacKeeman and his Rhythm Boys, Fred Smith, Chloë and Jason Roweth, Dark Horses and Sparrow-Folk who all snuck onto the lineup prior to today’s announcement.